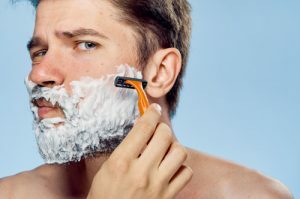 Gillette’s North American brand director said that he anticipated debate and that a discussion around what is perceived as masculinity is desperately needed. He hoped that men would watch the video and be inspired to act like role models or stand up to bad behavior. Unfortunately, not all men agreed and some took it as a personal attack. This isn’t the first time Procter & Gamble has rocked the advertising waters before. They won praise for their Always “Like a Girl” campaign and for Pantene’s “Strong is Beautiful” campaign. Now they turn their attention to men. How Toxic is Toxic Masculinity? Toxic masculinity takes its toll on men as well. Men constitute 93% of all inmates in prison and are more likely to become workaholics, suffer alone with mental illness, and become alcoholics. They also have a shorter life expectancy. If you’ve been a victim of sexual assault or sexual harassment, you have a right to file charges against your aggressor. At the Gold Law Firm, our sexual harassment and abuse attorneys fight aggressively for survivor rights. We can hold abusers and negligent institutions that harbored them accountable for the harm they’ve caused. Our lawyers know what is at stake and we work aggressively and efficiently to protect survivors every step of the way. Contact Gregory A. Gold of the Gold Law Firm today for a free consultation at (303) 694-4653. We are ready to help you through this difficult time.